Now sold in 140 countries. It’s been the top-selling sports car in the US for over half-a-century, and now – having been unleashed in 140 countries across the globe – is the best-selling sports car on the planet. According to Ford’s analysis of HIS Markit global automotive registration data in the sports car segment, over 150,000 Mustangs were sold in 2016. That means overall global sales increased six percent from 2015, with almost 45,000 Mustangs sold outside the US in that time period. Since 2015, more than 395,000 sixth-generation Mustangs have rolled off Ford’s Flat Rock Assembly Plant. 98,000 of these have been shipped to customers outside the US, doubling the percentage of exports to 17.5 percent. Ford anticipates continued export growth, reaching 30 percent by the end of 2017. Available in every continent, save for Antarctica, this year the 2018 Mustang will be available in six new countries, including Brazil, the Ivory Coast and the Palau Islands. 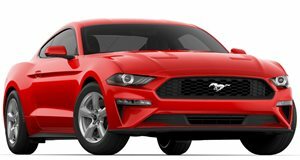 Unveiled just after the Detroit Auto Show this January, the 2018 Mustang receives more aggressive styling, an optional 12-inch digital instrument panel, and a reworked 5.0-liter V8 with more (as yet unspecified) power and better fuel economy. The all-new 10-speed automatic is also now available on both the 2.3-liter Ecoboost and V8. The V6 has been given the chop. Buyers will also get new wheel designs and body colors, including Orange Fury, to choose from when the 2018 Mustang rides into showrooms this fall.